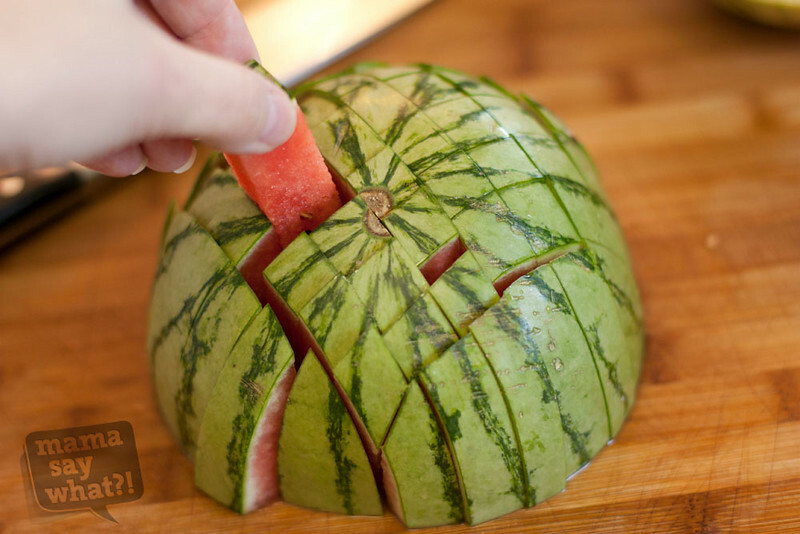 I’ll be honest that a photo of a kid biting into a giant wedge of watermelon makes for a cuter photo, but this method seems to create less of a mess and is easy for little fingers to pick up and eat without leaving a lot of waste behind. 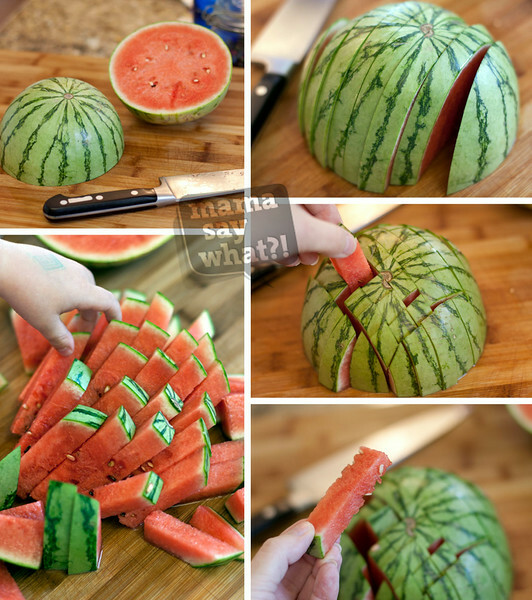 Is this a great idea or what? 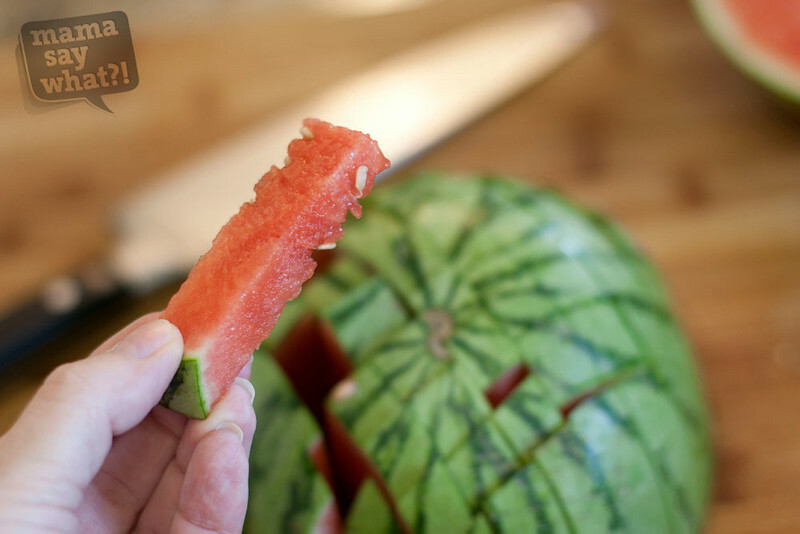 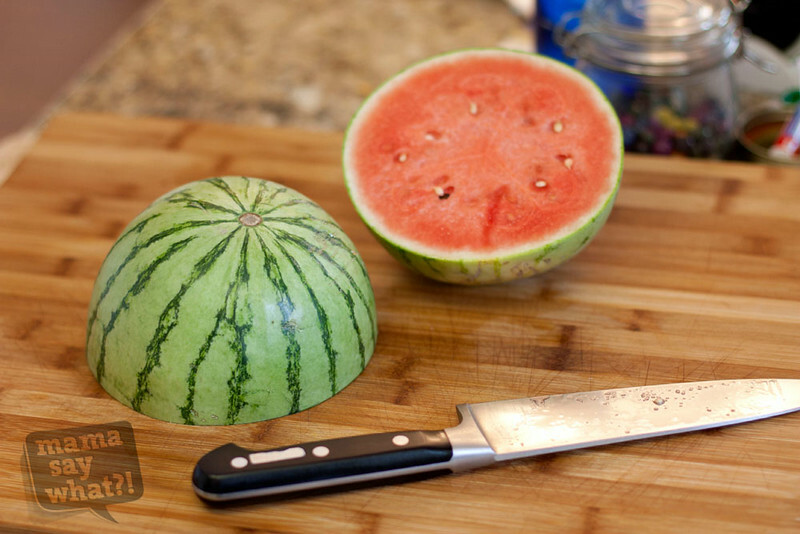 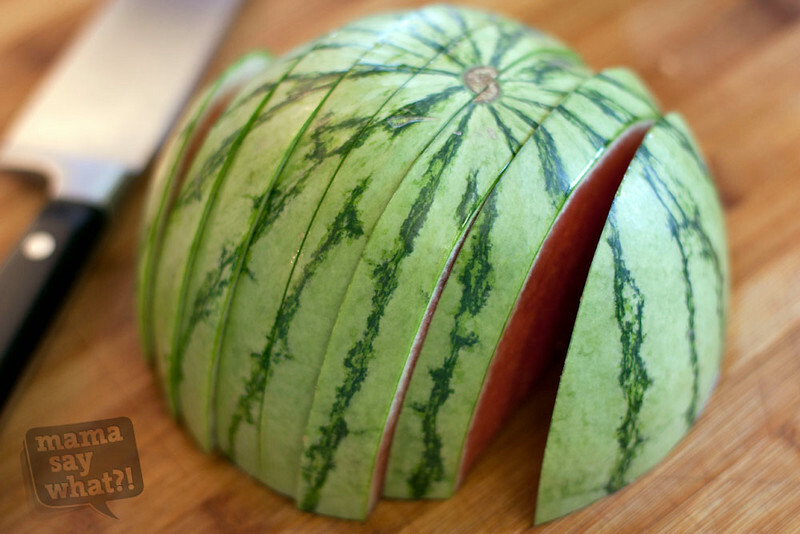 Thank you to www.mamasaywhat.com/cutting-a-watermelon for the great article and pictures.